“College athletics [are] all business now.” Every day, college athletics appears to be transitioning away from their amateurism model and not-for-profit status into a business that is concerned about generating as much revenue as possible and increasing their bottom line. Some college athletic departments “are making more money than ever before, thanks to skyrocketing television contracts, endorsement and licensing deals, and big-spending donors.” Additionally, college athletic departments look to increase revenues by entering into lucrative stadium naming rights agreements. Traditionally, wealthy donors have generously funded collegiate stadiums in whole or in part in exchange for the facility to be named after them. However, college athletic departments have opened towards partnering with corporate entities on stadium naming rights agreements to generate additional revenue instead of exclusively donors. The purpose of this article is to shed some light on the relatively new phenomenon of corporate naming rights for college athletic facilities. First, the article will define naming rights and explain the benefits that are exchanged by the parties in a naming rights transaction. Next, the article will briefly discuss naming rights in professional sports. The article will then examine college naming rights in significant detail, which will include an overview of naming rights through philanthropic donations and corporate-sponsored naming rights, a summary of sample corporate naming rights agreements, some drawbacks of corporate naming rights, and an assessment of the impact of college naming rights today and into the future. 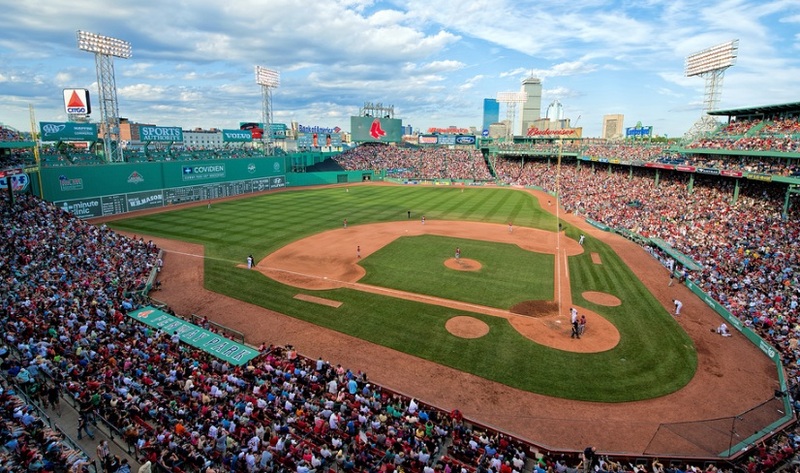 A stadium naming rights deal is “‘a transaction in which money or consideration changes hands in order to secure the right to name a sports facility.’” Stadium naming rights in the United States date back to 1912 with the Boston Red Sox naming their new ballpark “Fenway Park” after the city of Boston’s Fenway section. The early and middle twentieth century brought about the earliest forms of corporate sponsors with companies bearing the famous name of their owners, such as Wrigley (Wrigley chewing gum) in Chicago, Illinois, and Busch (Anheuser-Busch brewery) in St. Louis, Missouri. Corporate sponsor naming rights did not take off until the 1960s and 1970s since stadiums were still mostly named after a person or a team. However, that would soon change. In 1985, American sports experienced their first major corporate stadium naming rights transaction when the National Basketball Association’s (NBA) Sacramento Kings (Kings) partnered with Atlantic Richfield Company. The Kings agreed to a 99-year, $7 million (total) contract with Atlantic Richfield and that event set the stage for the future of corporate naming rights. Once professional sports teams and facility ownership realized that selling the naming rights to a stadium was an asset that could generate a substantial amount of revenue with very little costs, there was a boom of increased naming rights deals in the 1990s. Additionally, some corporate sponsors have the ability to sponsor multiple sports facilities, such as American Airlines sponsoring sports facilities in both Dallas, Texas (Stars-National Hockey League (NHL) and Mavericks-(NBA) and Miami, Florida (Heat-NBA), as well as AT&T (Arlington, Texas – Dallas Cowboys (National Football League (NFL)); San Antonio, Texas – San Antonio Spurs (NBA); San Francisco, California – San Francisco Giants (Major League Baseball (MLB))), and Mercedes-Benz (New Orleans, Louisiana – New Orleans Saints (NFL); Atlanta, Georgia – Atlanta Falcons (NFL)). The practice of selling stadium naming rights in professional sports to corporations experienced a second renaissance in the late 1990s and early 2000s with the “dot com boom,” in which there was a need for a single-use stadium rather than a multi-use stadium. Because teams shifted towards single-use stadiums, local governments were not willing to foot the bill entirely for a new stadium like the multi-use stadiums, which promoted efficiency and were more cost effective. As a result, teams and stadium owners have pursued corporate naming rights to help pay for new stadiums. However, stadium naming rights transactions in the United States mostly halted in 2008 due to the Great Recession. Fortunately, the Great Recession did not have a prolonged effect on naming rights transactions in the United States as the market for those transactions recovered after 2010. Additionally, the desire for new revenue sources and a globalization of the United States market led to a renewal of both stadium naming rights transactions and corporate sponsorships. Media Exposure: Media impressions is one driver that factors into how much a sponsor pays for a team’s naming rights, which is made up of digital impressions (social networking), print media, news, radio, and fans’ first-person visual impressions. Attendance: There is a “positive correlation between stadium attendance and the price paid for naming rights,” in which a well-established team with a loyal fan base can allow a corporation to gain a new, increasing global audience. Long-term Investment Versus Short-term Advertising: A naming rights sponsorship is a quick and effective way for a corporation to gain greater exposure in new geographic markets and sustain the exposure into the future. The Sport’s Popularity: A sport’s popularity and its media exposure is a significant factor in determining the price for a facility’s naming rights. The Agreement’s Contents: The value of a facility naming rights transaction can also depend on the negotiated entitlements of the agreement, such as product or service exclusivity, signage, scoreboard/videoboard recognition, and luxury suites, along with any effect on the corporation’s brand exposure. B. Why Use Naming Rights? [The] long-term nature [of a sports facility naming rights deal] makes it easier for all parties involved to build stronger business connections with each other, leading this kind of marketing avenue to be more effective than short-term event sponsorships . . . . The length of stadium naming rights contracts, however, also reduces the availability of these unique marketing opportunities that were relatively few from the start. By 2012, 84 of 121 teams in the four major professional sport leagues had reached venue sponsorship agreements with corporations . . . . Since naming rights opportunities are limited and costs are so high in major league sports, a natural trend of growth would involve expanding beyond major league facilities into middle-tier markets, such as minor league and intercollegiate sports. Brand Awareness Through Media Exposure: The corporate sponsor will receive advertising by means of telecasts, radio broadcasts, internet postings, and print publications because their corporate identity is attached to the sports facility’s name. Sometimes, brand awareness can be free when third parties that were not a part of the stadium naming rights agreement show or mention the corporate sponsor’s brand that is affiliated with the facility. This benefit can be very lucrative if the sports facility is in a larger market, such as New York City or Los Angeles. Fan Loyalty: Corporate sponsors want to achieve an emotional connection with its target audiences. That emotional connection comes from partnering with a brand that their audiences love, here their sports teams. If a corporate sponsor partners with an audience’s beloved team, that puts the sponsor’s brand in a positive light, and could lead to future business, an increase in revenue, and creates goodwill. Traffic: Cities that have large populations or are considered major tourist destinations generate a lot of foot traffic. Heavy traffic would increase brand exposure among those currently situated in the city, especially if there are numerous events at a stadium such as winning sports teams’ games and packed concerts. Association with Victory: Corporate sponsors want to be associated with winning. This benefit can be obtained by partnering with a sports facility that has a winning sports team and opportunities to host larger sporting events, such as the Super Bowl or All-Star games. Market Capitalization: Corporate sponsors can potentially see their stock value increase when they reach an agreement on a stadium naming rights transaction. As a result, an investor can earn a higher return on investment and a higher gain when the stock is sold during that period of the increase. Near Exclusivity: Corporate naming rights deals are a unique opportunity for corporate sponsors because there are a limited number of upscale college and professional sports facilities. Because those facilities are limited in number, it makes it difficult for a corporate sponsor’s competitors to duplicate a similar stadium naming rights transaction. Make Inroads into a Foreign Domestic or International Market: Corporate sponsors may enter into a stadium naming rights transaction in order to tap into new markets that the sponsor’s products or services have not yet targeted. As a result, the sponsor hopes to obtain new business in the new geographical market. Potential Cross-Promotion Through Product Tie-ins: This benefit allows a corporate sponsor to integrate its products and services inside the sports facility the sponsor partnered with. For example, a corporate sponsor that is a bank will want to place ATMs in several locations inside a stadium, a soda sponsor will want their collection of beverages be sold throughout the stadium, and a car manufacturer sponsor will want to showcase several of its car models within the stadium’s confines. Receive a Luxury Suite: As a part of the stadium naming rights agreement, a corporate sponsor usually receives one of the facility’s luxury suites or can purchase one at a negotiated, reduced price. This luxury suite will allow the corporate sponsor to entertain clients, host future potential business partners, or reward employees by treating them to a game or event. These suites are one aspect of corporate development and client retention, in which the sponsor can showcase its corporate prestige. Reduce Taxes: “Finally . . . costs incurred in purchasing the naming rights to a sports facility can be [classified] as tax deductions for advertising business expenses.” This is permissible under Section 162(a) of the Internal Revenue Code, in which “all the ordinary and necessary expenses paid or incurred during the taxable year in carrying on any trade or business” are deductible. These expenses would include salaries and wages, research, and the cost of the naming rights transaction itself among other expenses. This table shows that the professional sports industry generates billions of dollars through its stadium naming rights transactions. Among the top twelve naming rights deals, the average deal length was twenty-two years and the average annual naming rights fee was $12.8 million. In total, these twelve deals amounted to 260 years that will generate nearly $3.4 billion in revenue for the teams. These figures are likely to increase soon with the Los Angeles Rams looking for a stadium naming rights partner. The Rams are reportedly asking for a record breaking twenty-year, $600 million ($30 million annually) deal for the naming rights of their new stadium in Inglewood, California. In addition to being a revenue generator, all of the stadium naming rights revenues are retained by the team and are not subject to league revenue sharing. Thus, stadium naming rights are a valuable asset to a team. As one can see, there are very few sports facilities among the four major North American professional sports leagues that are not named after a person, place, or corporate sponsor. This list may decrease as the Los Angeles Dodgers are shopping the naming rights to the playing field of Dodger Stadium for a reported asking price of $12 million per season. Also, new Miami Marlins minority owner and likely future Hall-of-Fame shortstop Derek Jeter recently said that the naming rights for Marlins Park are available for purchase. Additionally, the Washington Nationals continue their search to find a naming rights partner for their stadium, Nationals Park. The New York Yankees have considered selling the stadium naming rights to Yankee Stadium, but as of now there are no active solicitations. Meanwhile, the Oakland-Alameda County Coliseum Authority in a 2016 press statement said that the naming rights to the Oakland-Alameda County Coliseum were available after Overstock and the stadium authority ended their naming rights agreement. Currently, the Baltimore Orioles remain adamant that the naming rights to Oriole Park at Camden Yards are not for sale. As for the Kansas City Chiefs, they are seeking a naming rights partner for Arrowhead Stadium, but the Chiefs maintain that the word “Arrowhead” must remain in the facility’s name. College athletics have become a multi-billion-dollar sector of the sports industry in the United States. However, most universities’ athletic departments do not generate a profit. According to the 2015 “NCAA Revenues and Expenses of Division I Intercollegiate Athletics Programs Report,” only twenty-four universities that are considered Football Bowl Subdivision (FBS) programs earned a net profit from their athletic operations. Fortunately for those universities that experienced a net profit, the median net profit increased from $6.071 million to $6.443 million, a 6.1 percent increase. Academic institution subsidies, student fees, and direct government support help subsidize university athletic programs, where the median FBS university subsidy was nineteen percent of the athletic department’s revenue in 2015. With athletic programs becoming more expensive, universities have had to look for additional sources of income to help offset those rising expenses and selling sports facility naming rights has become a serious option. Traditionally, when a university looks for funding to construct a new facility, they have targeted wealthy, generous philanthropists to gift money towards the facility. A philanthropic gift has been defined as a “voluntary, non-reciprocal transfer of money or property from a donor to an institution. The donor may be an individual, a foundation, a trust or estate, a corporation, or another non-profit organization.” A gift can be restricted or unrestricted, and if the gift is unrestricted, the donee can use the funds at their own discretion “for its mission and its tax-exempt purposes.” Since the mid-1990s, educational institutions have been offering naming rights in exchange for philanthropic gifts as a means to raise funds and generate revenue. Common charitable naming rights opportunities include lecture halls, classrooms, conference rooms, libraries, professor endowments, campuses, quads, and scholarship funds. Sport$Biz made several public records requests to acquire the above charitable college naming rights agreements. However, some states’ open records laws provide an exemption where the university as a governmental body does not have to disclose donor records. Also, some universities set up a private, not-for-profit foundation that allows the university to not disclose donor records. The figures listed in the above table came from previously published, unconfirmed media articles. Considering philanthropic gifts, there is one major reason why the gifts were and continue to be an avenue to fund an athletics department or a facility: tax deductibility. Institutions of higher education are likely either Internal Revenue Code (IRC) § 501(c)(3) charitable organizations or government instrumentalities. As a result, these institutions are exempt from federal income taxation. The National Collegiate Athletic Association (NCAA) and private schools classify as IRC § 501(c)(3) charitable organizations to avoid federal income taxation. Public schools, as government instrumentalities, are exempt from federal income taxation under IRC § 115. When a philanthropist donates money to an institution, it is considered a charitable contribution, which is an important funding source for the institution. Under IRC § 170, a philanthropist’s charitable contribution is deductible up to a certain percentage of the philanthropist’s adjusted gross income subject to certain limitations based on philanthropist’s reported income. IRC § 170(b)(1)(A)(ii) states that a charitable contribution to an educational organization (university) is deductible. In this case, the contributions are deductible up to sixty percent (60%) of the philanthropist’s adjusted gross income (contribution base) through December 31, 2025. 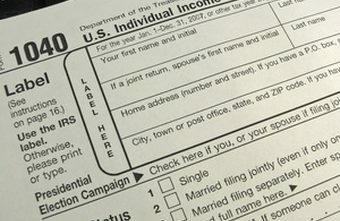 Otherwise, the contribution is still deductible, however, it is only “to the extent that the aggregate of such contributions does not exceed the lesser of[:] (i) 30 percent of the taxpayer’s contribution base for the taxable year, or (ii) the excess of 50 percent of the taxpayer’s contribution base for the taxable year over the amount of charitable contributions allowable” under IRC § 170(b)(1)(A). If the aggregate of the philanthropist’s total contributions exceed the fifty percent limit, the excess of the contributions can be carried over up to the next five tax years. By donating money to a university that is used towards a sports facility, a philanthropist accomplishes two goals: (1) secures the naming rights to the sports facility and (2) reduces the philanthropist’s individual federal income tax burden. Additionally, a philanthropist’s contribution also generates additional funds for the university to either help construct the sports facility or raise additional revenue for the athletic department. As a result, this method of raising funds for the university is a win-win situation for both the university and the philanthropist. In recent times, philanthropic gifts in exchange for naming rights have for the most part been replaced by corporate sponsors. Today, college athletics is a multi-billion-dollar enterprise. “Athletic directors must actively seek multi-million dollar licensing deals, corporate sponsorships, [charitable naming rights,] premium seating programs, and television contracts to keep their programs operating and sustainable.” Even though programs are generating revenue through these stadium financing mechanisms, the cost of running a college athletics department has risen over the years. Escalating coaches’ salaries, Title IX compliance measures, and facility construction and expansion project costs have played a role in universities not operating at a profit. Athletic facilities also play a role in recruiting high-quality student-athletes to help maintain a program’s success, but are often a program’s most expensive asset. To help reduce the amount of debt owed, programs have been recently selling their stadium naming rights to corporate sponsors. Historically, the NCAA shied away from commercialism to further support their commitment towards amateurism. However, that has changed in recent times. The first corporate naming rights deal in college athletics was in 1980, where Syracuse University partnered with Carrier to name the university’s new football and basketball facility the “Carrier Dome.” However, this transaction was considered a gift because Carrier paid a one-time fee of $2.75 million towards the construction of the Carrier Dome in exchange for naming rights in perpetuity as long as the Carrier Dome is in existence. In 1996, the University of Louisville partnered with Papa John’s Pizza to name the university’s new football stadium “Papa John’s Cardinal Stadium.” Like the Syracuse University-Carrier agreement, this arrangement was also considered a gift, in which Papa John’s founder and chairman John Schnatter has gifted over $20 million to the University of Louisville since 1996. The University of Washington recognizes the importance of naming opportunities for its buildings, outdoor and interior areas, spaces, features, and objects, and this document sets forth the University’s naming guidelines. Naming actions shall not detract from the institution’s values, dignity, integrity, or reputation, nor shall any such actions create a conflict of interest, or the appearance of a conflict of interest, or confer special privileges. A. Buildings or outdoor areas or spaces may be named for a person, or family, associated with the University community who has rendered distinguished service to the University or who has made a significant contribution to society, or for a donor to the University whose gifts represent a “substantial contribution” toward the project cost, provided that the individual or family or donor has a prominent relationship with the University and/or the region, with a positive image and demonstrated integrity. In the event of changed circumstances, the University reserves the right, on reasonable grounds, to revise the form of or withdraw recognition. B. Corporations or organizations are encouraged to be major donors to the University by recognizing with naming opportunities a person or family important to their success. Only in rare, exceptional situations will a building or outdoor area or space be named for a corporation or organization whose gifts represent a “substantial contribution” toward the project cost. The corporation or organization must have a prominent relationship with the University and/or the region, with a positive image and demonstrated integrity. In the event of changed circumstances, the University reserves the right, on reasonable grounds, to revise the form of or withdraw recognition. C. A “substantial contribution” is the target gift amount for naming that is set for each project as part of the Project Budget approved by the Board of Regents in the early stages of project development. D. Pledges for naming should be paid in full within five years of the commitment. E. Buildings named for an individual or family generally will either be termed “______ Hall” (e.g. “William H. Gates Hall”) or “______ Building” (e.g. “William H. Foege Building”). F. The name will generally remain on the building or outdoor area or space for the life of the building, area, or space. If at some future time the building or outdoor area or space is replaced (which may include a major reconstruction that substantially changes the function or appearance of a building’s interior and/or exterior), the use of the existing or a new name for the replacement facility will be subject to the approval of the Board of Regents pursuant to Section 4 below. G. In cases where a corporation or organization name is used, the number of years during which the building or outdoor area or space will be named may be limited, normally to a period not to exceed 25 years. The proposed number of years for naming the project will be identified when it is presented to the Board of Regents for approval. The gift agreement will specify the number of years during which the building or outdoor area or space will be named and it will include the clause that any name changes during that period will be at the University’s sole discretion, subject to approval by the Board of Regents. H. The name will appear on the building, appropriate signage as determined by the University, and University maps and other documents in University approved lettering. No corporate logos will be permitted, except pursuant to Section 5 below. A. Interior areas, features, objects or spaces may be named for a person or family associated with the University community who has rendered distinguished service to the University or who has made a significant contribution to society, or for a major donor to the University whose gifts represent a substantial contribution toward the project cost or the purchase of the object, provided that the individual or family or benefactor has a prominent relationship with the University and/or the region, and he or she has a positive image and demonstrated integrity. In the event of changed circumstances, the University reserves the right, on reasonable grounds, to revise the form of or withdraw recognition in consultation with the donor when possible. B. An interior area, feature, object or space may also be named for a corporation or organization whose gifts represent a “substantial contribution” toward the project cost or the purchase of the object. The corporation/organization must have a prominent relationship with the University and/or the region, with a positive image and demonstrated integrity. In the event of changed circumstances, the University reserves the right, on reasonable grounds, to revise the form of or withdraw recognition. · While the desired goal for a naming gift is the cost to provide and equip the area, feature, object or space (which may include an operating endowment), the target gift amount for naming will be set for each project in advance of soliciting donors in coordination with the Vice President for Advancement, who will obtain written authorization from the President on amounts specified. Interior areas, features, objects or spaces that are part of a total building fundraising campaign should be included as part of the Project Budget approved by the Board of Regents in the early stages of project development. · Pledges for naming should be paid in full within five years of the commitment. D. Approved names for interior areas, features, objects or spaces will generally not be exhibited on external building walls; the names will be located as close as possible to (and otherwise affiliated with) the funded interior areas, features, objects or spaces. E. In cases where the name of the corporation/organization is used, the gift agreement will specify the number of years for which the naming applies and will specify that any name changes during that period will be at the University’s sole discretion. In cases where the name of an individual or family is used, the name will remain for the life of the area, feature, object or space with appropriate recognition as determined by the President if it is replaced. The President has final approval for naming interior areas, features, objects and spaces. Final decision to name buildings and outdoor areas and spaces rests with the Board of Regents, upon recommendation of the President. In situations in which a building may be named in recognition of a substantial contribution to the total project costs, the minimum contribution needed for naming and any limits imposed on the number of years it will be named will be specified as a part of the Project Budget approved or amended by the Board of Regents. Each campus of the University of Washington, UW Bothell, UW Seattle, and UW Tacoma, is responsible for directly submitting to the Vice President for Advancement any request for approval of the naming of facilities, including but not limited to buildings, outdoor and indoor areas, features, objects or spaces, at their respective campuses. The UW Bothell and UW Tacoma will forward their recommendations through their respective chancellors to the Vice President for Advancement, who will forward them to the President. The UW Seattle will forward its recommendations from the Vice President for Advancement to the President. Proposals for all naming opportunities will follow the approval process described in this Section 4 in order to obtain appropriate approvals before negotiating with a prospective donor for a naming gift and before offering recognition of an individual, family, corporation or organization. Discussions with individual, family, corporate, or other organizational donors who seek naming rights must be conducted with the understanding that the President (in the case of interior areas, features, objects or spaces) or the Board of Regents (in the case of buildings and outdoor areas or spaces) reserve final approval of the naming. The University may enter into agreements with business entities to temporarily name intercollegiate athletics facilities or playing fields when the business entity makes a substantial contribution to the University’s intercollegiate athletics program. A “substantial contribution” in this context means that facts and circumstances, including relevant market conditions, show that the business entity is making a substantial financial contribution to the University’s intercollegiate athletics program. Any such agreements must be reviewed by Advancement working with the Department of Intercollegiate Athletics and will normally be for a fixed term of five years and not in excess of ten years. The term should be consistent with the contribution. Any agreement to temporarily name an interior feature, object or space must be approved by the President. An agreement to temporarily name an interior feature, object or space may include the right to place a sign or signs on the exterior of a building or an outdoor area; however, such right shall be approved by the Board of Regents upon the recommendation of the President. Any agreement to temporarily name buildings or outdoor spaces must be approved by the Board of Regents upon the recommendation of the President. The logo of a business entity may be included on the name temporarily affixed to an interior feature, object, space, building or outdoor area if the logo is part of a unique design created in part for the purpose of acknowledging the relationship between the University and the business entity. Inclusion of a logo in a unique design on the name temporarily affixed to an interior feature, object or space shall be reviewed and approved by the President. Inclusion of a logo in a unique design on the name temporarily affixed to a building or outdoor area shall be approved by the Board of Regents upon the recommendation of the President. This policy will apply to both new and existing interior areas, features, objects, spaces, buildings, and outdoor areas or spaces. No agreement shall detract from the institution’s values, dignity, integrity, or reputation, nor shall it create a conflict, or the appearance of a conflict, of interest or confer special privileges. The business entity shall have a prominent relationship with the University and/or the region, and have a positive image and demonstrated integrity. In the event of changed circumstances, the University reserves the right, on reasonable grounds, to revise the form of or withdraw recognition. In the event there are any inconsistencies or ambiguities between this policy and other University Naming Rights policies, this policy shall take precedence. Before proceeding with any naming, institutions must carefully consider all circumstances surrounding the naming, including the overall benefit to the institution and whether displaying the name is and will continue to be a positive reflection on the institution. Any naming of Facilities and Programs must undergo a high level of consideration and due diligence to ensure that the name comports with the purpose and mission of the U. T. System and the U. T. System institutions. No naming shall be permitted for any corporation or individual whose public image, products, or services may conflict with such purpose and mission. 1.2 Time Limitation for Approval. Naming approvals granted under this Rule are valid for a period not to exceed 365 days from the date of approval. After approval of a naming, the negotiated gift agreement must be executed within 365 days of that approval. If that does not occur, the naming must be resubmitted for approval by the Board of Regents through the Vice Chancellor for External Relations unless the Chancellor approves a one-time, 90-day extension of the naming approval, consistent with the requirements of Section 2 below. Each naming for a Prominent Facility or Prominent Program must be approved by the Board of Regents. Recommendations for namings of any university building or athletic facility, college, school, and academic department or clinical division shall be forwarded to the Board of Regents with recommendations of the Chancellor, the Deputy Chancellor, the Executive Vice Chancellor for Academic or Health Affairs, the Vice Chancellor for External Relations, and the president of the institution, according to procedures established by the Office of External Relations. 2.2 Naming of Other Prominent Facilities and Programs. Each naming for Other Prominent Facilities and Other Prominent Programs may be approved by the Chancellor with recommendations of the Deputy Chancellor, the Executive Vice Chancellor for Academic or Health Affairs, the Vice Chancellor for External Relations, and the president of the institution, according to procedures established by the Office of External Relations. Other Prominent Facilities and Programs may include wings and other major components of academic, medical, athletics, and arts facilities, large auditoria, concert halls, atria, prominent outdoor spaces, and clinics and academic and health programs, centers, institutes, and organized research units. The Vice Chancellor for External Relations, in consultation with the appropriate Executive Vice Chancellor, will make final determinations concerning what types of Facilities and Programs will be considered Other Prominent. Sec. 3 Naming of Less Prominent Facilities and Less Prominent Programs. The Board of Regents has delegated naming authority for Less Prominent Facilities and Less Prominent Programs to each president based on a set of general guidelines that are reviewed and approved by the Chancellor, except that any Corporate Naming requires approval by the Chancellor and compliance with the procedures set forth below in Section 8, including the requirement for advance consultation. The Vice Chancellor for External Relations, through consultation with the appropriate Executive Vice Chancellor and the U. T. System institutions, will make final determinations concerning what types of Facilities and Programs may be considered Less Prominent. Sec. 4 Naming of Streets. The naming of all streets located on campus must be approved by the Board of Regents. Recommendations for any street names shall be forwarded to the Board of Regents with recommendations of the Chancellor, the Deputy Chancellor, the Executive Vice Chancellor for Academic or Health Affairs, the Vice Chancellor for External Relations, and the president of the institution. Honorific namings of Prominent Facilities and Programs or Other Prominent Facilities and Programs must be approved by the Board of Regents. Requests shall be forwarded to the Board of Regents with the recommendations of the Chancellor, the Deputy Chancellor, the Executive Vice Chancellor for Academic or Health Affairs, the Vice Chancellor for External Relations, and the president of the institution. Under appropriate circumstances, honorific namings of Less Prominent Facilities and Programs may be granted by the president of the institution. Such naming for a U. T. System administrative official, faculty, or staff member or for an elected or appointed public official will be submitted to U. T. System Administration and to the Board of Regents on the Consent Agenda. Facilities and Programs may be named under the terms of a negotiated gift agreement to memorialize or otherwise recognize substantial gifts and significant donors or individuals designated by donors. Each institution shall develop guidelines for what constitutes substantial and significant donations to warrant a gift-related naming. Institutional donor guidelines must be approved by the Executive Vice Chancellor for Academic Affairs or Health Affairs, the Vice Chancellor for External Relations, and the Vice Chancellor and General Counsel for inclusion in the institutional Handbook of Operating Procedures. Each Corporate Naming for Prominent Facilities or Programs must be approved by the Board of Regents. Each Corporate Naming for Other Prominent Facilities and Programs or Less Prominent Facilities or Programs must be approved by the Chancellor. The Office of External Relations must complete a detailed due diligence review, in accordance with policies and procedures established by that office, of the corporation prior to any Corporate Naming. Each Corporate Naming must be analyzed by the Office of External Relations, the Office of the Board of Regents, the Office of General Counsel, and the Office of Business Affairs to ensure that there are no impermissible conflicts or legal issues. Certain restrictions may also apply to any proposed naming of a Facility financed with the proceeds of tax-exempt bonds. 7.2 Procedures for Corporate Naming. Before negotiating a possible Corporate Naming, the president shall send a written request, in compliance with procedures established by the Office of External Relations, to the Executive Vice Chancellor for Academic or Health Affairs. Except in the case of Less Prominent Facilities or Programs, the institution shall negotiate an agreement with the corporation, using the Standard Corporate Naming Gift/Licensing Agreement prepared by the Office of General Counsel. Any substantive variations to the standard agreement must be approved by the Office of General Counsel. The Executive Vice Chancellor for Academic or Health Affairs shall have authority to sign such agreements after appropriate review and approval. Sec. 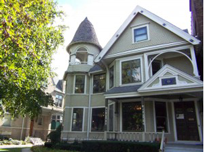 8 Changes to Approved or Existing Names of Prominent Facilities, Programs, and Streets and Nonhonorific Redesignation. Minor changes to approved or existing names of Prominent Facilities, Programs, and Streets as determined by the Vice Chancellor for External Relations and the General Counsel to the Board may be approved by the Chancellor after review by the Deputy Chancellor, the Executive Vice Chancellor for Academic or Health Affairs, and the president of the institution. Nonhonorific renaming and redesignation of projects in the Capital Improvement Program (CIP) shall be reviewed and approved by the Associate Vice Chancellor for Facilities Planning and Construction. Such approved redesignations will be included in the amended CIP. ** In addition to the approvals specified in this chart, all requests for naming for Prominent Facilities and Programs (as defined in Regents’ Rule, Rule 80307) must be recommended by the Chancellor, the Deputy Chancellor, the Executive Vice Chancellor for Academic or Health Affairs (as appropriate), and the Vice Chancellor for External Relations, and must comply with procedures established by the Office of External Relations. The Vice Chancellor for External Relations, in consultation with the Executive Vice Chancellor for Academic or Health Affairs (as appropriate), makes final determinations as to which Facilities and Programs are considered Prominent. No institution shall announce the naming of any Facility or Program prior to the final approval required by this Rule. Facilities – all physical facilities and buildings. Other Prominent Facilities – areas such as wings and other major components of academic, medical, athletics, and arts facilities, large auditoria, concert halls, atria, prominent outdoor spaces, and clinics. Less Prominent Facilities – facilities such as laboratories, classrooms, seminar or meeting rooms, and patient rooms that the Vice Chancellor for External Relations, in consultation with the Executive Vice Chancellor for Academic or Health Affairs, and the U. T. System institutions, determines are less prominent and therefore not within the category of Prominent Facilities. Programs – all non-physical entities. Prominent Programs – major entities, such as colleges, schools, academic departments, and clinical divisions. Other Prominent Programs – academic and health centers, programs, institutes, and organized research units. Less Prominent Programs – facilities such as laboratories, classrooms, seminar or meeting rooms, and patient rooms that the Vice Chancellor for External Relations, in consultation with the Executive Vice Chancellor for Academic or Health Affairs and the appropriate U. T. System institution, determines are less prominent and therefore not within the category of Prominent Facilities. Corporate Naming – the naming of any Facility or Program after a corporate or other business-oriented entity. Prominent Naming – the naming of Prominent Facilities or Prominent Programs. To state the University’s policy on naming University facilities and academic units. Ordinarily, University facilities and academic units will not be named for persons who are actively involved in or related to University operations. This includes members of the faculty and staff, board of trustees, advisory boards, legislators, and governmental officials. University facilities may be named for persons who have retired from active employment with the University after a sufficient time has elapsed from the date of the individual’s retirement. This date should be determined by the Facilities Naming Committee. Special-use buildings may bear the name of that use separately or in combination with a person’s name; for example, McCoy Natatorium or Pattee Library. After receiving the committee’s recommendations for naming buildings and roads, the President makes final recommendations to the Board of Trustees for consideration and action. If the benefactor is a corporation, the authority to revoke the name of a University facility bearing such corporation’s name shall be exercisable by the Board of Trustees, upon recommendation of the President, in the event that any of the officers or directors of such corporation are later convicted of a felony or incur civil sanctions in their capacity as officers or directors of such corporation, which crimes or sanctions, in the sole discretion of the Board of Trustees, are significantly detrimental to the reputation of the corporation, such that continued name association between such corporation and a University facility would be contrary to the best interests of the University. Prior to the approval of a name revocation by the Board of Trustees as provided in this paragraph, the University shall provide the benefactor, or a representative of the benefactor, the opportunity to voluntarily relinquish the name from the University facility or academic unit, as the case may be. The trend of non-gifted, corporate sponsor naming rights in Division I FBS college athletics began in the 2000s, where during that time period, the University of Maryland became the first school to sell their stadium’s playing surface’s naming rights by agreeing to a naming rights deal with Chevy Chase Bank for a total of $29 million for twenty-seven years. During the 2000s, three other notable schools sold their stadium naming rights to a corporate sponsor. Those transactions’ parties and reported, yet independently unconfirmed, deal terms are : (1) the University of Minnesota and TCF Bank (25 years, $35 million total); (2) the University of Central Florida and Bright House Networks (15 years, $15 million total); and (3) Troy University and Movie Gallery (20 years, $5 million total). As far as corporate stadium naming rights transactions are concerned, 2017 proved to be an active year. Most notable is the stadium naming rights agreement between the University of Southern California (USC) and United Airlines. The transaction was first reported in May 2017, and was formally announced in January 2018, in which United Airlines agreed to pay USC $69 million over the next sixteen years (over $4.3 million annually) for the naming rights to USC’s football stadium, the Los Angeles Memorial Coliseum (Coliseum). Beginning in August 2019, the Coliseum will be called “United Airlines Memorial Coliseum.” The naming rights fees will help offset the stadium’s $270 million renovation, and the deal will be extremely valuable to United Airlines because the 2028 Olympics will take place in Los Angeles, California, and the Coliseum is expected to host the Olympics’ opening ceremonies. As illustrated above, these naming rights transactions for the most part have gotten more lucrative since the Syracuse University-Carrier deal in 1980. As of 2014, the average annual naming rights fee in college sports was just south of $1 million ($916,892) with basketball arenas’ average annual naming rights fee ($988,508) being higher than football facilities’ average annual naming rights fee ($823,193). The reason for this was that “sponsors were willing to pay more per year for facilities with multiple tenants.” Today, the most recent deals have generated over $1 million annually in naming rights fees, and in major markets such as Los Angeles and Seattle, the naming rights transactions now have multi-million-dollar annual naming rights fees. With the ever-increasing costs of full cost of attendance scholarships, academic support, facilities, travel, and litigation, it can be expected that college athletic departments will further pursue the idea of stadium naming rights for future sports facilities considering the amount of revenue those deals can generate. One important thing to consider is why are corporate sponsors engaging in naming rights transactions in college athletics? As for sponsorships in general, corporations have been targeting the NCAA and college athletics as early as the late 1980s. In those times, sponsors such as Coca Cola, Gatorade, Oldsmobile, and Pizza Hut started targeting college-aged individuals to grow their businesses. In a 1992 survey, corporate sponsors had several primary reasons for partnering with the NCAA and its member institutions, including: (1) affiliation with sports; (2) access to college athletics; (3) media exposure; (4) tickets to athletic contests; and (5) become an exclusive product or service provider. As for facility naming rights with an individual university, corporate sponsors will partner with a university because the institution presents a unique market environment. In a 2006 ESPN poll, 58.0 percent of ESPN’s viewers indicated that they were college football fans while 48.5 percent of those consumers indicated that they were college basketball fans. If the consumer has a favorable impression of the sponsor, the consumer will think the corporate sponsor is a good fit for their university and are more likely to patronize the corporate sponsor. Listed below are several naming rights agreements between an academic institution and a corporate sponsor. All information was acquired by means of various public records requests, and will illustrate the parties, the basic terms of the naming rights deal, and key benefits for the corporate sponsor. Key Benefits for Sponsor: (1) certain signage, promotional, and sponsorship rights related to the facility, the baseball program, the school’s athletic facilities, and the athletic department; (2) media recognition through television, radio, internet, and public address means; (3) coaches appearances and endorsements of the sponsor’s products and services; (4) the “Exclusive Credit Union Sponsor” of University of Texas Athletics and “Official Financial Institution” of UFCU Disch-Falk Field; (5) certain amount of season tickets and parking passes for University of Texas athletic teams, including baseball, football, men’s and women’s basketball, and softball; (6) jointly-owned logos with the University of Texas involving UFCU Disch-Falk Field; and (7) stadium suite at UFCU Disch-Falk Field in partial consideration of the $2.75 million renovation contribution. Key Benefits for Sponsor: (1) sole and exclusive owner of the rights to the stadium’s name and created logo; (2) certain signage displaying the stadium name and logo within the stadium, in the stadium’s confines, and in the stadium’s parking areas in a prominent way; (3) luxury suite and exclusive use of the suite for all events at the stadium; (4) audit rights to examine and inspect that all signs, stadium logos, and other promotional materials conform to the naming rights agreement; (5) product and service exclusivity; (6) early termination right; and (7) right of first negotiation when the naming rights agreement expires. Key Benefits for Sponsor: (1) designation as “The Official Airline of the University of Washington” along with being a signature and official partner of the university; (2) awarded an exclusivity of being the only airline partner of the university and the athletics program; (3) general usage of university trademarks for promotional and retail merchandise; (4) aircraft livery containing university trademarks; (5) media acknowledgement through various channels, such as print media, the university’s website, and social media; (6) certain signage on campus; (7) ability to sponsor campus and alumni events; (8) luxury suite at the stadium; (9) naming rights of the basketball arena to be called “Alaska Airlines Arena at Hec Edmundson Pavilion;” and (10) tickets and hospitality at various university functions, such as galas. 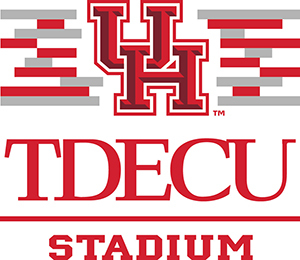 Key Benefits for Sponsor: (1) TDECU logo is included in the stadium’s name; (2) recognition promoting TDECU, including pre-game and post-game recognition; (3) use of a luxury suite, receive tickets and parking passes, can host corporate functions, and discount at the university’s fan shop; and (4) an option to extend the agreement for an additional five years. Key Benefits for Sponsor: (1) commercial and promotional messaging (i.e., signage) throughout the facility; (2) public address announcements and branded media content reflecting the new facility name; (3) 3M’s use of a suite for each home game; (4) complimentary tickets and parking passes; (5) one high-traffic, experimental space used to set up a booth for 3M to sell its merchandise; (6) option to rent 3M Arena at Mariucci or other university venues for a select number of events; (7) one Zamboni ride per game; and (8) receive end-of-season reports pertaining to asset performance, available metrics, and added value. Key Benefits for Sponsor: (1) exclusive naming rights for the current facility and the option to be exclusive naming rights sponsor for new facility built during the thirty-year period; (2) control over the first public announcement and subsequent announcements involving the sponsored facility; (3) State Farm center signage paid for by the university; (4) signage at the scorer’s table; (5) 100% ownership of State Farm Center’s trademarks and receive royalties when the university markets, advertises, or promotes the State Farm Center; (6) State Farm Center trademark on various in-arena items, such as programs, beverage cups, special access credentials, and event/game tickets; and (7) eight premium tickets to one basketball game of choice per season for both men’s and women’s basketball teams. Key Benefits for Sponsor: (1) right of first negotiation after naming rights deal expires; (2) early termination option for the on-campus bank branch; (3) right to develop logos featuring the field or stadium; (4) certain interior and exterior signage at the stadium and on campus; (5) right to participate in promotional activities and/or receive select promotional items; (6) internet and print rights; (7) exclusivity as being the sole bank; (8) a luxury suite that is available for all events at the stadium; (9) additional tickets and parking passes; and (10) internet and print advertisements featuring the bank. Even though a sports facility naming rights transaction provides many benefits for both the university and the corporate sponsor, there are potentially some negative factors that can impact college athletics including commercialism, sponsor negative perception, and negative fit. “Historically, due to the NCAA’s commitment to [the bylaw concept of] amateurism, no commercial activity was allowed in NCAA events.” However, commercialism eventually found its way into collegiate athletics. Commercialism in college athletics “grew with the advent of television” during the time of the Great Depression. During this time, the more powerful academic institutions differentiated themselves from other universities to form “divisions based on their competitive success and ability to generate revenue.” Commercialism in college athletics developed over the years in which the NCAA adopted the “Sanity Code” in 1948, which permitted universities for the first time to offer athletic scholarships to prospective student-athletes, and in 1973, the NCAA changed their rules to allow coaches to monitor their players and establish routines, thereby reducing time for student-athletes to pursue other interests or activities. Recently, the NCAA has permitted student-athletes to receive gifts for participating in post-season football bowl games, has authorized universities to offer multi-year athletic scholarships instead of renewable one-year scholarships, and has permitted cost of attendance stipends to be paid to student-athletes. Today, commercialism presents a negative impact on a university’s image with respect to stadium naming rights. Historically, stadium names in the United States often conveyed a university’s history and recognition among others, but now conveys a message of how much a sponsor spent to obtain the naming rights. College athletics are now big business and commercialism potentially hinders a university’s academic purpose. This has been a concern among academic institutions, which can prompt a university to undergo a “corporate cleansing” by removing all materials that contain a corporate mark. As a result, Ivy League institutions choose to not offer athletic scholarships and not enter into stadium naming rights agreements with corporate sponsors. Intercollegiate athletics depend on corporate naming rights in part to help offset growing operating expenses. 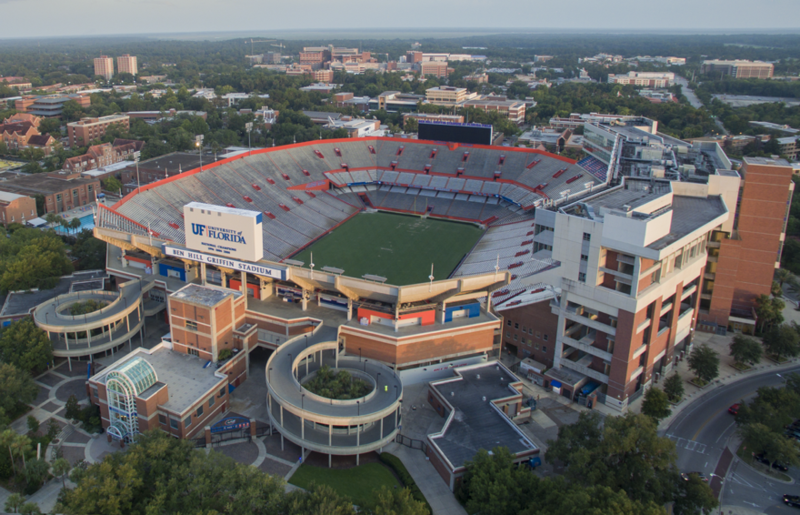 By pursuing commercial products such as naming rights, there is often tension between a university’s core mission and its commercial values, which could threaten a university’s integrity and its athletic program’s viability of continued operation. Also, universities have trouble maintaining the amateurism model of college athletics and academic integrity. Overall, corporate naming rights “has led college sports to become one of the most visible and inﬂuential segments of commercialized sports.” However, commercialism in college sports can lead to dire consequences, such as academic scandals, because of a university’s profit-seeking motives to enhance their chance of winning which in turn can lead to more profit for a university. Additionally, universities could lose support from their fan base, who are disappointed and potentially could resist supporting the university, because the university adopted commercialization by entering into a corporate naming rights agreement. There has been some pushback from the industry favoring commercialization of college athletics. Former University of Texas Athletic Director Steve Patterson once stated that while at Texas, he desired an annual athletics revenue of $200 million to provide better opportunities and experiences to Texas student-athletes. Patterson further argued that without his desired revenue goal, he would have trouble retaining current student-athletes, keeping scholarships for those student-athletes, retaining great coaches, maintaining or enhancing athletic facilities, and offering student-athlete support services among others. The NCAA and its member universities further support commercializing college athletics by agreeing to lucrative television contracts with broadcasting companies. For example, in a television broadcast rights agreement between the NCAA and Fox, Fox was granted the ability to use names and images of each game’s participants despite the NCAA’s statement that in their television agreements broadcasters “buy the rights to show stadiums, not the players.” Ultimately, it appears the NCAA is deviating away from their amateurism model as commercialization increases in college athletics. With professional sports facilities and teams receiving millions in annual revenue from facility naming rights, it is no wonder that facility naming rights entered college athletics with universities searching for additional revenue to acquire a competitive advantage both athletically and economically. Another factor to consider is the negative perception of the sponsor. As noted earlier, a sports facility was traditionally named after a person, or in some cases a local trait, who had a “connection between the team, the facility, and the place.” In a 2011 research study, there was evidence “suggesting that . . . avid fans of a college team may have strong negative feelings toward[s] sponsorship.” These feelings result from a fan’s perception of amateurism and commercialism. Also, an individual can develop an unfavorable opinion of a corporate sponsor if the sponsor partners with a rival of a person’s favorite team. Additionally, if there is a negative connotation about a sponsor, that could influence a person’s feelings towards the sponsor and the university for the worse. Smith’s statement illustrates that universities do value how their image is perceived by the public. Additionally, Ohio State establishes a threshold that if a sports facility naming rights deal shines a negative light on the university or does not reflect the university’s mission, Ohio State will not agree to that naming rights transaction regardless of the amount of money. For corporate sponsors, their brand is perceived more favorably by those who recognize their brand compared to those who do not recognize their brand. Thus, it has been theorized that “sports fans who know the sponsoring brand of their favorite team will show higher patronage intentions for the corporate sponsor than fans who know the sponsor less well.” It has been speculated that this could have been a reason why the University of Louisville partnered with Papa John’s Pizza, a local company, for their football stadium’s naming rights as well as the University of Minnesota with TCF Bank and Syracuse University with Carrier for the same reasons. If a corporate sponsor makes a negative impression on the fan base, the company’s negative perception would be two-fold: (1) they are not recognized by several fans and (2) the fans that do recognize the company’s brand are now turned off and will reduce those fans’ purchase intentions of the sponsor’s products or services. Finally, some believe that for a corporate sponsorship to be effective, there has to be a good fit between the team (or stadium owner) and the corporate sponsor. When a university’s athletic department accepts a sponsor’s payment or contribution, they may give up some control over how their image and on-field product may be perceived by fans. A positive fit is important because it “[minimizes] consumers’ [skepticism] about sponsors’ commercial motives and facilitates acceptance of the sponsorship.” To minimize commercial motives, a corporation should offer altruistic benefits, meaning that they care for the well-being of others. 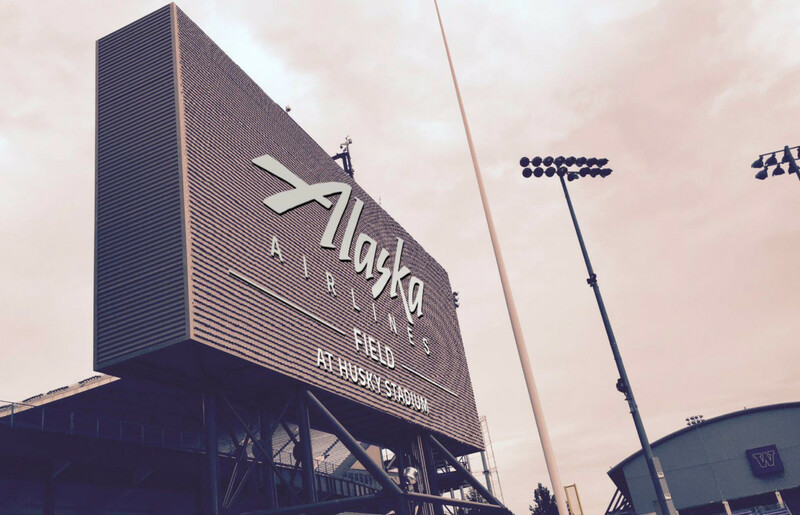 For example, Alaska Airlines, who possesses the naming rights of the University of Washington’s Husky Stadium, is supportive of the university community by partnering on educational activity events and helping student-athletes find beneficial opportunities both on and off the field through their naming rights contribution. Corporate sponsors “that present a team-related brand identity and add distinctive features may be able to create a preference and image fit with sport stadiums” that is perceived favorably. However, when a team renames their facility with a different corporate sponsor, it creates a potential threat to a team’s uniqueness and the venue’s historical importance. Those threats could come from consumer backlash, negative verbal feedback by consumers, anger, and fear. Thus, it is important for the sponsor to strengthen “the sense of team identification among team fans[,]” which can be accomplished by distinguishing the team through fan experiences, traditions and rituals, and the home facility’s unique characteristics. College athletics should be aware that there are two general negative outcomes of a relationship between a corporate sponsor and an athletic program: operational risk and reputational risk. Operational risk is a short-term risk that results “from either change in a sport’s format or rules, or undue influence by sponsors on organizations or events.” Operational risk has changed the sports industry’s various formats and rules through televised broadcasts. With more people watching sporting events on television, advertising and sponsorship opportunities paved the way for corporations to become involved in order to promote their brands. Additionally, operational risk can unduly influence a college athletics program because of the sponsor’s financial leverage. There are two dimensions of this undue influence: (1) influence the presentation of an event, such as using financial leverage to address a sport’s head injuries, and (2) the sponsor’s needs supersede “the intrinsic merit of the sporting event itself[,]” in which, for example, television networks and sponsors broadcast sporting events at times that are advantageous to them instead of what is best for the teams and athletes. The second negative outcome, reputational risk, is concerning for universities and sports organizations because if they partner with a wrong sponsor, the partnership could damage the university’s or organization’s reputation. In college athletics, a university should avoid compromising their inherent virtue for revenue to avoid this risk. However, an institution could disregard the risk “because they believe their sports would not be financially viable without [the] sponsorship.” Corporate sponsors that sell or promote products such as tobacco, alcohol, gambling, and unhealthy foods are the most controversial sponsors that impact reputational risk. As illustrated above, the philanthropy model was the traditional mechanism that universities used to finance their athletic facilities. Then universities sought additional funds for their athletic facilities by pursuing corporate naming rights sponsorships. These two methods of stadium financing can experience potential conflict when an existing sports facility has been previously named. As noted by some of the examples above, this conflict often occurs when a current facility is named after a person, either in honor of a person or through a donation, and the corporate sponsor comes in hoping to change the name of the facility. However, academic institutions found a solution to acquire additional funds from corporate entities even if the current facility is already named after a donor or a beloved university figure. Various stadium naming rights agreements have shown a hybrid stadium financing method of accepting corporate sponsor money in exchange for naming “a part” of the athletic facility, such as the playing field. In the University of Maryland-Chevy Chase Bank naming rights agreement, the football stadium, Byrd Stadium, was originally named after former University of Maryland football coach and president Dr. H.C. Byrd. 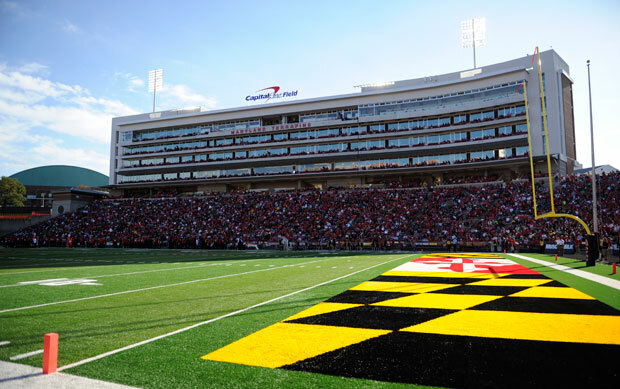 The naming rights deal between the University of Maryland and Chevy Chase renamed the facility “Chevy Chase Bank Field at Byrd Stadium,” in which Chevy Chase bought the naming rights for essentially part of the athletic facility¾the playing field. The University of Washington-Alaska Airlines naming rights agreement followed a similar pattern, in which Alaska Airlines purchased the naming rights of the playing field of the sports facility “Alaska Airlines Field at Husky Stadium.” Additionally, as illustrated in the University of Minnesotta-3M naming rights deal, the facility was renamed “3M Arena at Mariucci.” In this instance, 3M purchased the naming rights of the arena, which was previously named “Mariucci Arena” after former University of Minnesota coach John Mariucci. 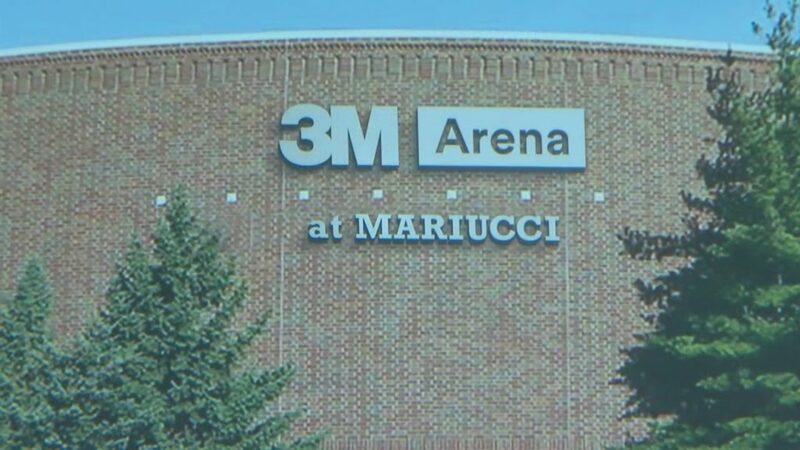 Here, the university respected what Mr. Mariucci contributed to the program and still honored him by combining his name with 3M for the new facility name. This hybrid stadium financing method provides a university an opportunity to potentially pursue two revenue streams through a philanthropic gift and a naming rights transaction for the same sports facility. As a result, there would be more income for the university towards financing a sports facility rather than using either one exclusively. This hybrid method appears to be a popular direction that universities are adopting in their stadium financing plans. As we stated in the beginning, “[c]ollege athletics [are] all business now.” The NCAA and its institutions are slowly abandoning their amateurism model by commercializing college athletics. With the rising operating costs consisting of scholarships, litigation, and compliance among others, along with the fact that most universities do not earn a profit, it is vital for a university to explore any potential revenue streams they can tap into. Corporate naming rights, despite having some opponents, will likely not have an overall negative connotation and will be supported my major donors. With that being the case, universities have a “green light” to pursue corporate naming rights agreements for their athletic facilities. “If the history of naming deals in professional sports tells us anything, the Washington, Kentucky, and USC deals are probably just the tip of the iceberg . . . [as a] new, bigger deal usually comes along a few years later.” Here, corporate naming rights have emerged onto the scene and this relatively new phenomena is here to stay for the foreseeable future. Ted Miller, College Athletics Now Business Over Tradition, ESPN (Apr. 3, 2014), http://www.espn.com/college-football/story/_/id/10721331/college-athletics-now-business-tradition. Will Hobson & Steven Rich, College Athletic Departments Are Taking in More Money than Ever¾and Spending It Just As Fast, Wash. Post (Nov. 23, 2015), http://www.washingtonpost.com/sf/sports/wp/2015/11/23/running-up-the-bills/?utm_term=.e97329bfc8fb. See Derek Helling, Half of Top 10 Most Lucrative College Stadium Naming Rights Deals Aren’t with Power 5 Schools, FANSIDED (May 23, 2017), http://fansided.com/2017/05/23/half-of-top-10-most-lucrative-college-stadium-naming-rights-deals-arent-power-5-schools/. See Athletics, Inside Philanthropy (Feb. 1, 2018), https://www.insidephilanthropy.com/campus-cash/athletics. See David Lariviere, Corporate Sales of Stadium Naming Rights Further Sullies College Athletics, Forbes (June 22, 2011), https://www.forbes.com/sites/sportsmoney/2011/06/22/corporate-sales-of-stadium-naming-rights-further-sullies-college-athletics/#6a955ce97c7b. Robert H. Thornburg, Stadium Naming Rights: An Assessment of the Contract and Trademark Issues Inherent to Both Professional and Collegiate Stadiums, 2 Va. Sports & Ent. L.J. 328, 330 (2003). L.V. Anderson, Barclays Center: How Corporate Naming Rights Work, and Why Stadiums Are Hardly Ever Named After Teams Anymore, SLATE (Sept. 28, 2012), http://www.slate.com/articles/sports/explainer/2012/09/barclays_center_how_corporate_naming_rights_work_and_why_stadiums_are_hardly_ever_named_after_teams_anymore_.html. Thornburg, supra note 7, at 332. Id. at 334; Upcoming Events, attstadium, http://attstadium.com (last visited Apr. 1, 2018); ATT Ctr., http://www.attcenter.com (last visited Apr. 1, 2018); AT&T Park, S.F. Giants, http://sanfrancisco.giants.mlb.com/sf/ballpark/index.jsp (last visited Apr. 1, 2018); Mike Florio, Mercedes-Benz to Apply Name to a Second NFL Stadium, NBC Sports (Aug. 21, 2015), http://profootballtalk.nbcsports.com/2015/08/21/mercedes-benz-to-apply-name-to-a-second-nfl-stadium/. See Christopher B. Carbot, The Odd Couple: Stadium Naming Rights Mitigating the Public-Private Stadium Finance Debate, 4 FIU L. Rev. 515, 522, 531 (2009). See Gary L. Miller III, “The Impact of Corporate Stadium Naming Rights Agreements in Professional Sports on Short-Run Stock Returns” (Senior diss., Allegheny College, 2017), 7. See Elise Neils, Ballpark Figures: Assessing Brand Value and the Benefits of Stadium Naming Rights, World Trademark Rev., Dec./Jan. 2012, at 51; see also The Great Recession, INVESTOPEDIA, https://www.investopedia.com/terms/g/great-recession.asp (last visited Apr. 1, 2018). See Thornburg, supra note 7, at 332. See Kenneth K. Chen & James J. Zhang, To Name It or Not Name It: Consumer Perspectives on Facility Naming Rights Sponsorship in Collegiate Athletics, 5 J. Issues Intercollegiate Athletics 119, 122 (2012). James T. Gray, Sports Law Practice § 8.09 (2017); Maidie E. Oliveau, What’s in a Name? (Or, Why Pay Millions to Name a Building? ), 23 SPG Ent. & Sports Law. 1, 29 (2005); David Searls, Three Benefits for a Company Paying for Naming Rights on Stadiums, Chron, http://smallbusiness.chron.com/three-benefits-company-paying-naming-rights-stadiums-68462.html (last visited Apr. 1, 2018); Ira Kalb, Putting Brand Names on Stadiums Can Be Extremely Valuable, BI (Apr. 10, 2013), http://www.businessinsider.com/name-that-venue-and-collect-billions-of-brand-impressions-2013-4; Inside the Pros and Cons of Naming Rights, Pixel Productions Inc., https://www.pixelproductionsinc.com/inside-the-pros-and-cons-of-naming-rights/ (last visited Apr. 1, 2018); Kim Skildum-Reid, Is Naming Rights Sponsorship Worth the Money?, Power Sponsorship (Aug. 13, 2011), http://powersponsorship.com/is-naming-rights-sponsorship-worth-the-money/. Miller III, supra note 16, at 1. Krystal Steinmetz, America’s 20 Biggest Stadium-Naming Deals, Money Talks News (Oct. 14, 2016), https://www.moneytalksnews.com/slideshows/americas-20-biggest-stadium-naming-rights-deals/; Evan Buxbaum, Mets and the Citi: $400 Million for Stadium-Naming Rights Irks Some, CNN (Apr. 13, 2009), http://www.cnn.com/2009/US/04/13/mets.ballpark/; Bill Shea (@Bill_Shea19), Twitter (Oct. 27, 2013, 1:58 PM), https://twitter.com/Bill_Shea19/status/394523465044070400; Nakia Hogan, New Orleans Saints Sell Superdome Naming Rights to Mercedes-Benz, NOLA (Oct. 3, 2011), http://www.nola.com/saints/index.ssf/2011/10/new_orleans_saints_sells_super.html. 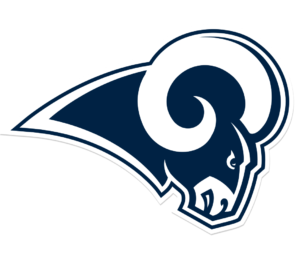 John Breech, Rams Reportedly Seeking Record-smashing Naming Rights Deal for New L.A. Stadium, CBS Sports (May 5, 2017), https://www.cbssports.com/nfl/news/rams-reportedly-seeking-record-smashing-naming-rights-deal-for-new-l-a-stadium/. Roger D. Blair, Sports Economics 295 (2011). Ballpark & Stadium Comparisons, Ballparks Baseball, http://www.ballparksofbaseball.com/comparisons/ (last visited Apr. 1, 2018); Angel Stadium, L.A. Angels, https://www.mlb.com/angels/ballpark (last visited Apr. 1, 2018); History, Oracle Arena & Oakland-Alameda County Coliseum, http://www.oraclearena.com/about-us/history (last visited Apr. 1, 2018); Oriole Park at Camden Yards, Baltimore Orioles, https://www.mlb.com/orioles/ballpark (last visited Apr. 1, 2018); Arrowhead Stadium, Kansas City Chiefs Football Stadium, Stadiums Pro Football, http://www.stadiumsofprofootball.com/stadiums/arrowhead-stadium/ (last visited Apr. 1, 2018). 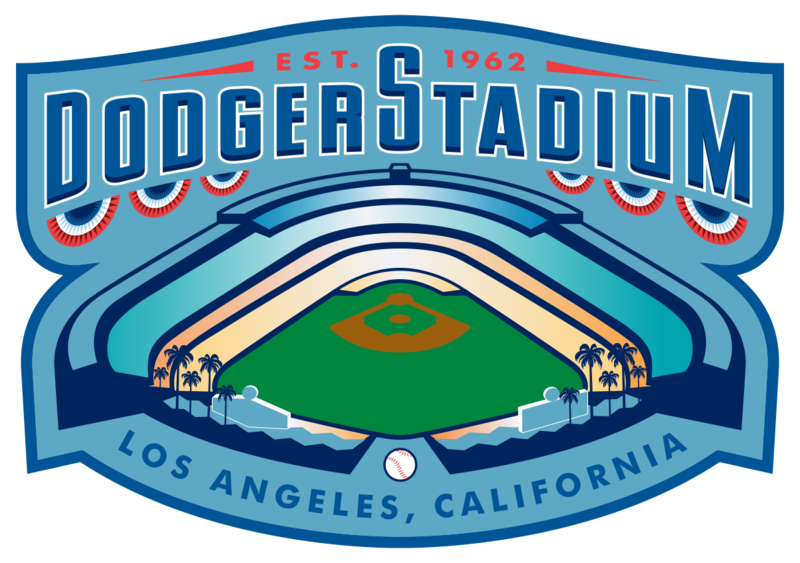 Bill Shaikin, Dodgers Are Soliciting Sponsorship Offers for Naming Rights to Field at Dodger Stadium, L.A. Times (July 18, 2017), http://www.latimes.com/sports/mlb/la-sp-dodgers-naming-rights-20170718-story.html. Zach Spedden, Jeter: Marlins Park Naming Rights in Play, Ballpark Digest (Nov. 16, 2017), https://ballparkdigest.com/2017/11/16/jeter-marlins-park-naming-rights-in-play/. Zach Spedden, Nationals Still Seek Nationals Park Naming Rights Deal, Ballpark Digest (Nov. 20, 2017), https://ballparkdigest.com/2017/11/20/nationals-still-seek-nationals-park-naming-rights-deal/. See RJ Loubier, Yankees Considering Selling Stadium Naming Rights, Bronx Pinstripes (Apr. 1, 2016), http://bronxpinstripes.com/news-rumors/yankees-considering-selling-stadium-naming-rights/. The Oakland-Alameda County Coliseum Naming Rights Available, Oracle Arena & Oakland-Alameda County Coliseum (Apr. 4, 2016), http://www.oraclearena.com/news/detail/the-oakland-alameda-county-coliseum-naming-rights-available. Jeff Barker, As Teams Seek Stadium Deals, Camden Yards’ Name Not for Sale, Baltimore Sun (Apr. 24, 2016), http://www.baltimoresun.com/business/bs-bz-baseball-naming-rights-20160424-story.html. Wesley Roesch, Chiefs Still Looking at Naming Rights Partners for Arrowhead Stadium, Chiefs Wire (Aug. 24, 2017), http://chiefswire.usatoday.com/2017/08/24/chiefs-still-looking-at-naming-rights-partners-for-arrowhead-stadium/. Tom Gerencer, How Much Money Does the NCAA Make?, Money Nation (Mar. 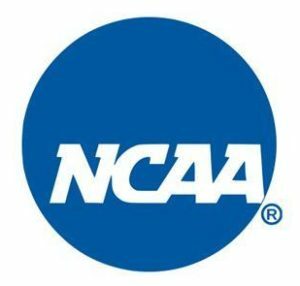 22, 2016), http://moneynation.com/how-much-money-does-the-ncaa-make/. Brian Burnsed, Athletics Departments That Make More than They Spend Still a Minority, NCAA.org (Sept. 18, 2015), http://www.ncaa.org/about/resources/media-center/news/athletics-departments-make-more-they-spend-still-minority. NCAA, Division I Intercollegiate Athletics Programs Report: Revenues and Expenses 12 (2004-15). See William A. Drennan, Charitable Naming Rights Transactions: Gifts or Contracts?, 2016 Mich. St. L. Rev. 1267, 1279 (2016). Determining Philanthropic Gifts Versus Sponsored Grants, Univ. Ark., http://vcfa.uark.edu/policies/fayetteville/udev/2270.php (last visited Apr. 1, 2018). Drennan, supra note 51, at 1277. Athletics, Inside Philanthropy, https://www.insidephilanthropy.com/campus-cash/athletics (last visited Apr. 1, 2018). Adam Silverstein, Florida vs. FGCU: The Griffin Family Connection, OnlyGators (Mar. 25, 2013), http://www.onlygators.com/03/25/2013/florida-vs-fgcu-the-griffin-family-connection/; Associated Press, Pickens Sets Record with $165M Oklahoma State Gift, ESPN (Jan. 10, 2006), http://www.espn.com/college-sports/news/story?id=2286820; Southern Football Stadiums: How They Were Named, One S. Man (Apr. 30, 2016), https://onesouthernman.com/2016/04/30/southern-football-stadiums-how-they-were-named/; Davis Wade Stadium at Scott Field, Miss. St. Athletics, http://hailstate.com/sports/2007/6/16/925427.aspx (last visited Apr. 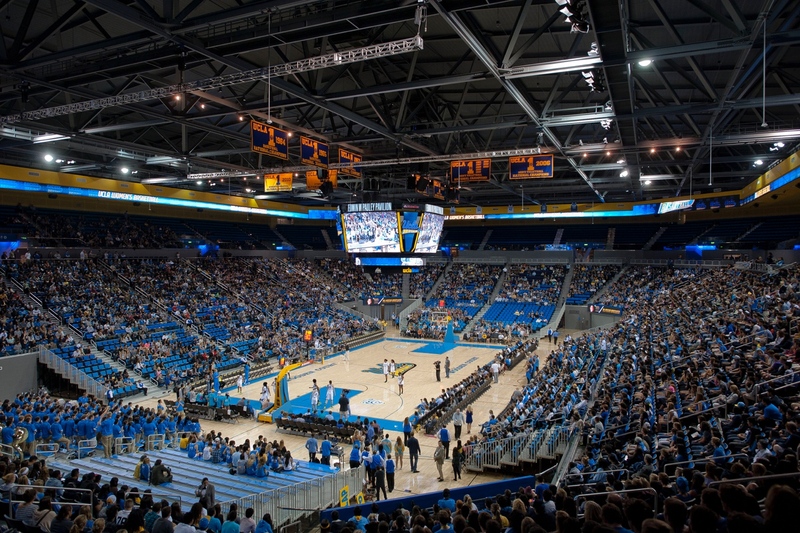 1, 2018); USC Basketball, The Galen Center: Home of USC Basketball 8 (2008-09); The Golden Anniversary of Pauley Pavilion, UCLA Athletics (June 11, 2015), http://uclabruins.com/news/2015/6/11/210140864.aspx; Hoover and Truman – Edwin Pauley Biographical Sketch, Truman Libr., https://www.trumanlibrary.org/hoover/pauley.htm (last visited Apr. 1, 2018); Thomas S. Kenan III, Kenan, William Rand, Jr., NCpedia (Jan. 1, 1988), http://www.ncpedia.org/biography/kenan-william-rand-jr; Kenan Memorial Stadium, UNC-Chapel Hill, http://unchistory.web.unc.edu/building-narratives/kenan-memorial-stadium/ (last visited Apr. 1, 2018); National Sports Law Institute, College Football, 18 Sports Facility Repts. 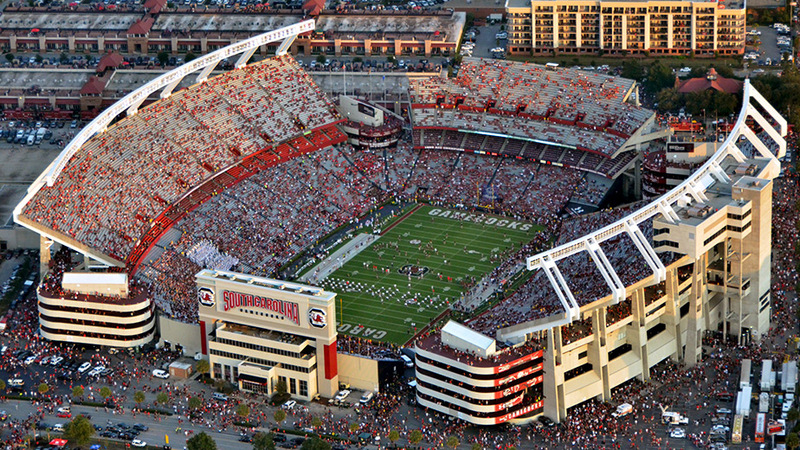 11-12 (2017); Josh Kendall, A History Lesson on Williams-Brice Stadium, State (July 23, 2015), http://www.thestate.com/sports/college/university-of-south-carolina/usc-football/article28429927.html. See, e.g., Georgia Open Records Act, § 50-18-72(29) (2018). Email from Cortney Goodson, Paralegal/Licensing Assistant, Miss. St. Univ. to Michael Gavin, Legal Intern, Gamebreakers, LLC (Feb. 12, 2018, 3:30 P.M. EST) (on file with authors). Attorney Joseph Tierney, III, Shareholder, Meissner Tierney Fisher & Nichols S.C., Lecture at Marquette University Law School (Jan. 19, 2016). 26 U.S.C §§ 501(a), (c)(3) (2018); 26 U.S.C. § 115 (2018); see State of Mich. v. United States, 40 F.3d 817, 829 (6th Cir. 1994); Tierney III, supra note 66. John D. Colombo, The NCAA, Tax Exemption, and College Athletics, 1 Ill. L. Rev. 109, 113 (2010). 26 U.S.C. § 115 (2018); Colombo, supra note 68, at 155 n.189. Tierney III, supra note 66. See generally 26 U.S.C. § 170 (2018); see Charitable Contribution Deductions, IRS (Aug. 6, 2017), https://www.irs.gov/charities-non-profits/charitable-organizations/charitable-contribution-deductions; Tierney III, supra note 66. Chen & Zhang, supra note 30, at 120. Id. at 123; Dome Sweet Dome, Carrier Corp. (Nov. 25, 2002), https://web.archive.org/web/20070929002424/http://128.167.97.173/vgn-ext-templating/v/index.jsp?vgnextoid=317076dfe8708010VgnVCM100000cb890b80RCRD&cpsextcurrchannel=1. Scott Soshnick & Eben Novy-Williams, Syracuse Says 36 Years Is Enough on Permanent Stadium Name Deal, Bloomberg (Sept. 26, 2016), https://www.bloomberg.com/news/articles/2016-09-26/syracuse-says-time-s-up-on-carrier-dome-s-forever-deal. Kate Howard, The Details on That Papa John’s Cardinal Stadium Deal, Ky. Center Investigative Reporting (May 18, 2017), http://kycir.org/2017/05/18/the-details-on-that-papa-johns-cardinal-stadium-deal/. Facilities and Spaces Naming Policy, Univ. Wash., http://www.washington.edu/admin/rules/policies/BRG/RP6.html (last visited Apr. 1, 2018). Naming Policy, Univ. Tex. Sys., https://www.utsystem.edu/board-of-regents/rules/80307-naming-policy (last visited Apr. 1, 2018). Naming University Facilities, Penn St. Policies, https://policy.psu.edu/policies/ad05 (last visited Apr. 1, 2018). Jim Bentubo, Colleges Forgoing Millions in Naming-Rights Deals, Sports Bus. Daily (Aug. 31, 2007), http://www.sportsbusinessdaily.com/Daily/Issues/2007/08/Issue-236/College-Football-Preview/Colleges-Forgoing-Millions-In-Naming-Rights-Deals.aspx. The actual amount of the University of Maryland-Chevy Chase Bank naming rights agreement was $29 million and is illustrated later in this article. Associated Press, California Golden Bears Sign $18M Stadium Naming Rights Deal with Kabam, ESPN (Dec. 5, 2013), http://www.espn.com/college-football/story/_/id/10084901/california-golden-bears-sign-18m-stadium-naming-rights-deal-kabam. Ian McPherson, State Farm Strikes US$60 Million Naming Rights Deal, SportsPro Media (Apr. 30, 2013), http://www.sportspromagazine.com/news/state_farm_strikes_us60_million_naming_rights_deal. 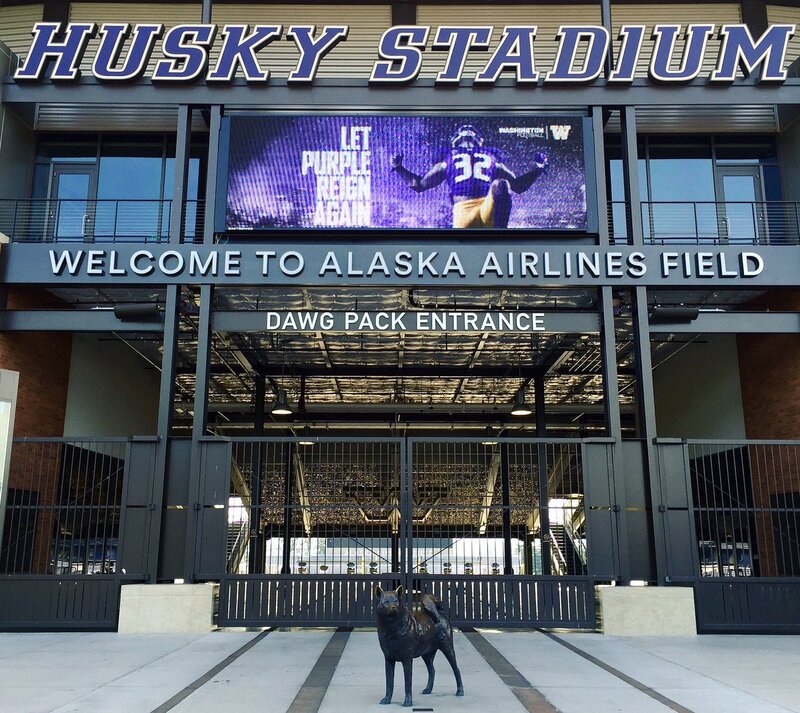 Don Muret, Washington Gets Largest Stadium Naming Rights Deal in College Sports, Sporting News (Sept. 3, 2015), http://www.sportingnews.com/ncaa-football/news/washington-seattle-husky-stadium-alaska-airlines-naming-rights-college-sports-names/klvadxtlexol18hvkaeg2v2bg. Sport$Biz acquired the naming rights agreement between the University of Washington and Alaska Airlines. The total value of the agreement is $40 million, not $41 million, which is illustrated later in this article. Terry Eddy, Why Naming Rights Deals in College Athletics Are Complicated Business, Athletic Director U, https://athleticdirectoru.com/articles/naming-rights-tipping-point/ (last visited Apr. 1, 2018). Danny Ecker, DePaul Strikes Arena Naming Rights Deal with Wintrust, Crain’s Chi. Bus. (Nov. 16, 2016), http://www.chicagobusiness.com/article/20161116/BLOGS04/161119910/depaul-strikes-arena-naming-rights-deal-with-wintrust. San Jose State Announces Naming Rights Deal for Spartan Stadium, CBS S.F. (Aug. 8, 2016), http://sanfrancisco.cbslocal.com/2016/08/08/san-jose-state-spartan-stadium-cefcu-naming-rights/. 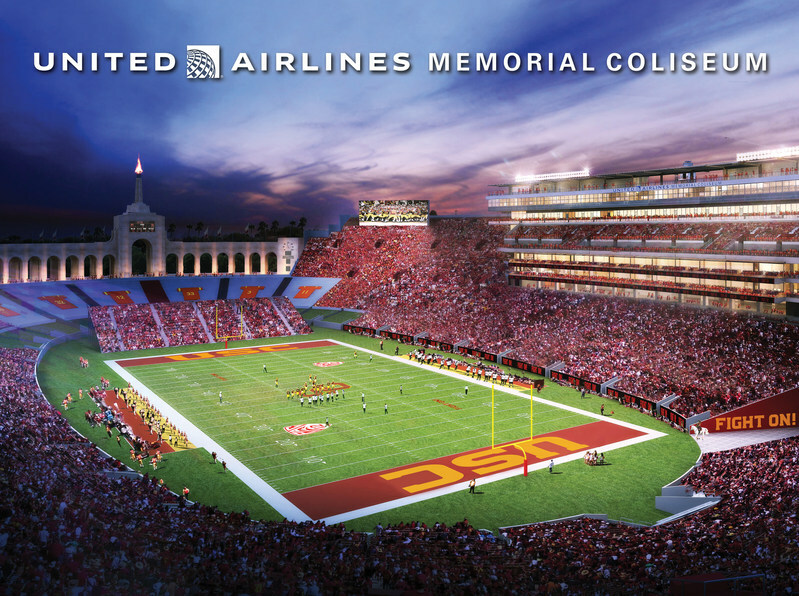 Jeremy Woo, USC Sells LA Memorial Coliseum Naming Rights to United, SI (May 18, 2017), https://www.si.com/college-football/2017/05/18/usc-sells-la-memorial-coliseum-naming-rights-united-airlines. See id. ; Shauli Bar-On, Coliseum Renovations Include New Seating, Amenities, Daily Trojan (Aug. 13, 2017), https://dailytrojan.com/2017/08/13/coliseum-renovations-include-new-seating-amenities/. Bianca Barragan, USC Sells Memorial Coliseum Naming Rights to United Airlines for $70M, Curbed LA (Jan. 29, 2018), https://la.curbed.com/2018/1/29/16946718/memorial-coliseum-united-airlines-naming-rights. Woo, supra note 104; Elijah Chiland, LA Agrees to Host 2028 Olympic Games, Curbed LA (July 31, 2017), https://la.curbed.com/2017/7/31/16070658/la-2028-olympic-games-paris-2024. Jessica Dyer, Dream Deal for UNM Nets $10 Million over 10 Years, Albuquerque J. (May 3, 2017), https://www.abqjournal.com/997706/dreamstyle-pledging-10-million-to-unm-most-goes-to-pit-stadium-naming-rights.html. Tim Griffin, Kentucky’s Naming Rights Deal with Kroger Ranks Third in Current College Stadium Deals, seccountry.com, https://www.seccountry.com/kentucky/kentuckys-kroger-namingrights (last visited Apr. 1, 2018). Jonathan Tannenwald & Mike Jensen, La Salle University Inks Naming Rights Deal, Athletic Bus. (Apr. 26, 2017), http://www.athleticbusiness.com/college/la-salle-university-inks-naming-rights-deal.html. Gopherguy05 & @yorka1982, Minnesota Hockey: 3M Buys Naming Rights to Mariucci Arena, Daily Gopher (July 10, 2017), https://www.thedailygopher.com/2017/7/10/15947212/minnesota-hockey-3m-mariucci-arena-naming-rights-john-mariucci-gophers. Michael Schwartz, Union Strikes $2.5M Naming Rights Deal for JMU Arena, Richmond BizSense (Oct. 18, 2017), https://richmondbizsense.com/2017/10/18/union-strikes-2-5m-naming-rights-deal-jmu-arena/. Associated Press, Colorado St. Gets $37M for Naming Rights of Football Stadium, USA Today (Apr. 19, 2018), https://www.usatoday.com/story/sports/ncaaf/2018/04/19/colorado-st-gets-37m-for-naming-rights-of-football-stadium/33986463/. Id. ; Pat Forde, Colorado State Gets Naming-Rights Deal for Football Stadium, Yahoo! Sports (Apr. 19, 2018), https://sports.yahoo.com/sources-colorado-state-gets-lucrative-naming-rights-deal-football-stadium-163037581.html. Apogee Acquires Naming Rights to North Texas’ New Football Stadium, Sports Bus. Daily (Aug. 12, 2011), https://www.sportsbusinessdaily.com/Daily/Issues/2011/08/12/Facilities/North-Texas.aspx. Kristi Dosh, How Much Are College Athletic Facility Naming Rights Worth?, Bus. C. Sports (June 25, 2014), http://businessofcollegesports.com/2014/06/25/how-much-are-college-athletic-facility-naming-rights-worth/. See David K. Stotlar & James C. Kadlecek, Examining NCAA Corporate Sponsorships, Athletic Bus. (Apr. 1993), http://www.athleticbusiness.com/marketing/what-s-in-it-for-me.html. Chen & Zhang, supra note 30, at 123. 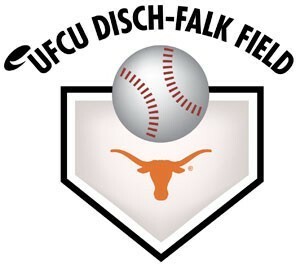 Sponsorship, Promotion, & Naming Agreement By & Between University Federal Credit Union & The University of Texas at Austin. Effective Date: July 1, 2006. 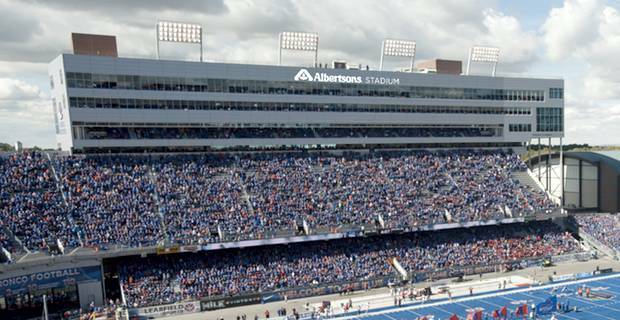 Naming Rights Agreement By & Between Albertson’s LLC & Boise State University. Effective Date: May 19, 2014. Sponsorship Agreement By & Between Alaska Airlines, Inc. & the University of Washington. Effective Date: July 1, 2016. Gift Agreement By & Between Texas Dow Employees Credit Union & the University of Houston. Effective Date: June 17, 2014. Sponsorship Agreement By & Between 3M Company & Regents of University of Minnesota. Effective Date: June 9, 2017. 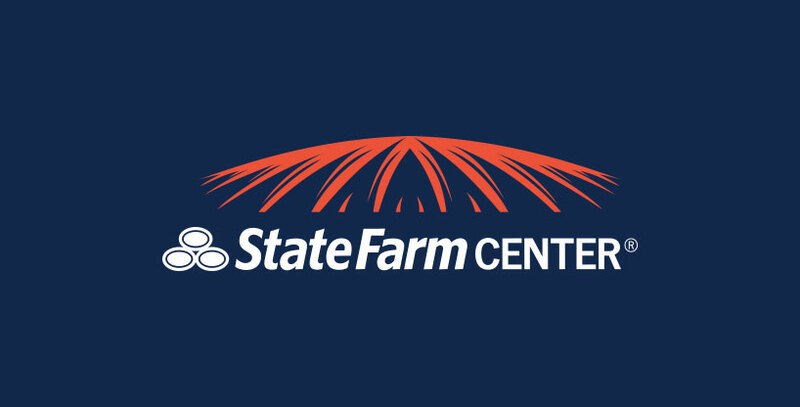 Naming & Sponsorship Agreement By & Between State Farm Mutual Automobile Insurance Company & the Board of Trustees of the University of Illinois. Effective Date: Apr. 26, 2013. Naming Rights Agreement By & Between Chevy Chase Bank, F.S.B. & the University of Maryland. Effective Date: Aug. 24, 2006. Chen & Zhang, supra note 30, at 122. Gerald Gurney, Donna A. Lopiano, & Andrew Zimbalist, Unwinding Madness: What Went Wrong with College Sports and How to Fix It 12 (2017). Chen & Zhang, supra note 30, at 124. See Athletics, supra note 5. Terence Eddy, “Consumer Attitudes toward Naming-rights Sponsorships in College Athletics” (Ph.D. diss., University of Northern Colorado, 2011), 39. Kenneth K. Chen & James J. Zhang, Examining Consumer Attributes Associated with Collegiate Athletic Facility Naming Rights Sponsorship: Development of a Theoretical Framework, 14 Sport Mgmt. Rev. 103, 106 (2011). Alex Silverman, College Stakeholders Try to Balance Commercialism, Welfare of Student-Athletes, Sports Bus. Daily (Dec. 12, 2014), http://www.sportsbusinessdaily.com/Daily/Issues/2014/12/12/Intercollegiate-Forum/Headliners.aspx. Kevin Trahan, NCAA Says People Don’t Care to Watch Players. NCAA TV Contracts Say Otherwise., SBNation (June 12, 2014), https://www.sbnation.com/college-football/2014/6/12/5803838/ncaa-tv-contracts-cbs-fox-player-likeness-obannon/in/3885405. Chen & Zhang, supra note 30, at 121. Eddy, supra note 147, at 5. James J. Zhang & Brenda G. Pitts, Contemporary Sport Marketing: Global Perspectives 245 (2017). See Chen & Zhang, supra note 148, at 111-112. See Zhang & Pitts, supra note 163. Makoto Nakazawa, Masayuki Yoshida, & Brian S. Gordon, Antecedents and Consequences of Sponsor-stadium Fit, 6 Sport, Bus. & Mgmt. : An Int’l J. 407, 408 (2016). See John L. Crompton, Potential Negative Outcomes from Sponsorship for a Sport Property, 2014 Managing Leisure 1, 1 (2014). Nakazawa, Yoshida, & Gordon, supra note 167. Trips Reddy, 8 Ways That College Teams Can Prove Sponsorship Value to Brands, Umbel (Sept. 10, 2015), https://www.umbel.com/blog/sports/8-ways-college-teams-can-prove-sponsorship-value-to-brands/. Capital One Field at Byrd Stadium, Md. Athletics, http://www.umterps.com/ViewArticle.dbml?ATCLID=208133544&DB_OEM_ID=29700 (last visited Apr. 1, 2018). Joe Christensen, After Mariucci Renaming, Will the Barn Get a Corporate Makeover?, StarTribune (July 11, 2017), http://www.startribune.com/mariucci-arena-renamed-3m-arena-at-mariucci-as-university-of-minnesota-secures-11-2-million-deal/433607353/. Previous PostThe Rooney Rule and Diversity in the NFL Workplace Next PostPost-Script: Blast Off! Why Are MLB Franchise Values Skyrocketing at an Astounding Rate?